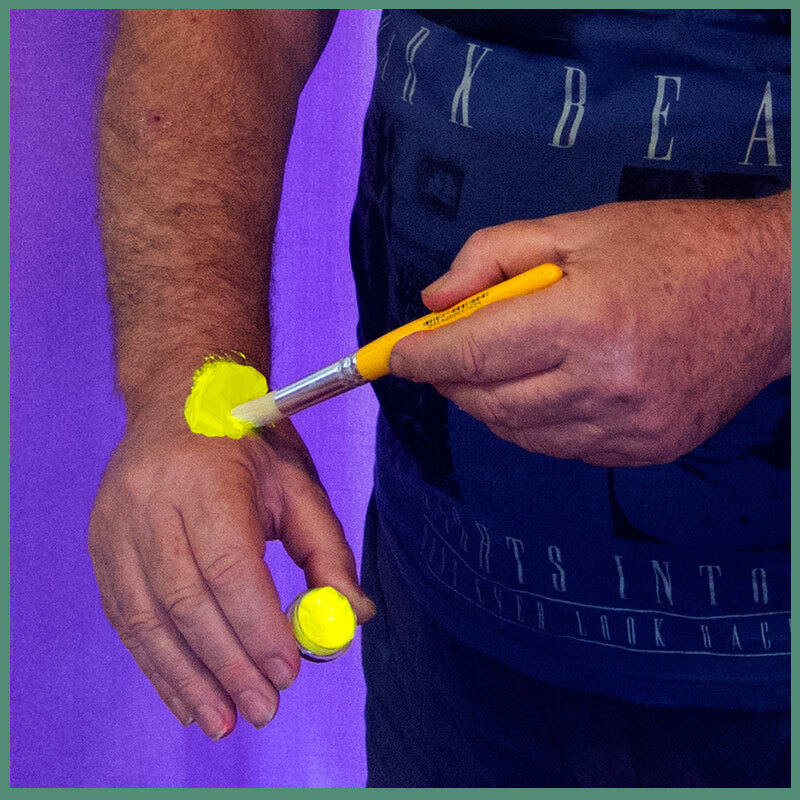 This newly developed Professional Face and body Paint is applied as a very thin flexible wax coating - Paint. They are made from the finest cosmetic grade pigments, emulsifiers, waxes and natural oils to give a professional finish that is water and sweat resistant, flexible and safe to use. 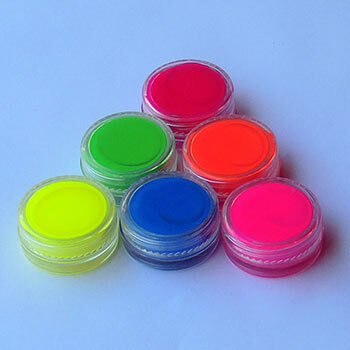 These Professional Paints are jam packed with colour pigments so are suitable for large events, for example, fates, Paint parties, Night clubs, Raves, and sporting events. Water, sweat and moister resistant. Apply to your Face and body via artist brush, finger or any other suitable applicator. They are best applied by Paint brush and water. We do not use any toxic, ingredients. We also do not add fillers as these might make these Paints cheaper to manufacture, but they also lower the quality. Zero artificial Urea is used as this can cause allergic reactions in some People. Some manufacturers Of Face and Body Paint (including some Australian manufacturers) add ingredients like fillers, (to make paint cheaper to produce) and Artificial Urea (artificial urine). We do not add these cheap and what we consider nasty ingredients. Before buying any cosmetics including face and Body Paint always read the ingedients listed on package if available.